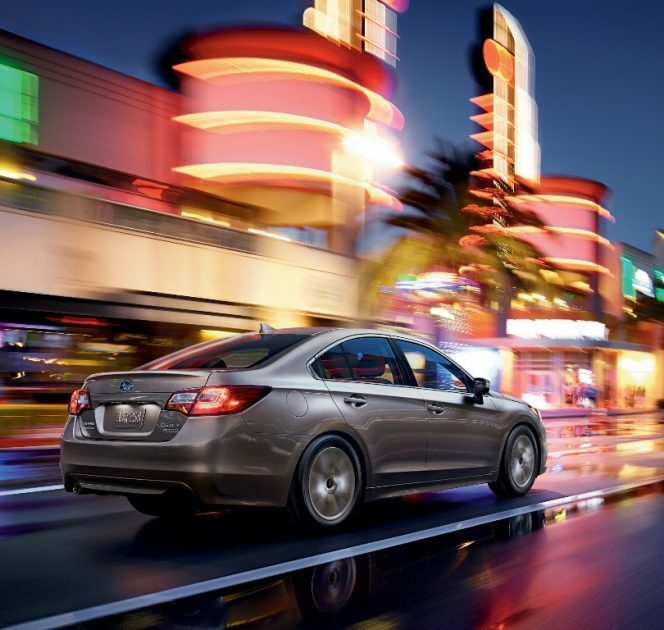 The 2017 Subaru Legacy is a midsize sedan that comes standard with all-wheel drive and carries a starting MSRP of $21,995. In fact, the only other sedans in this segment that even offer AWD at all are the Chrysler 200 and Ford Fusion. However, AWD with those models is only available on the higher level, pricier trims. 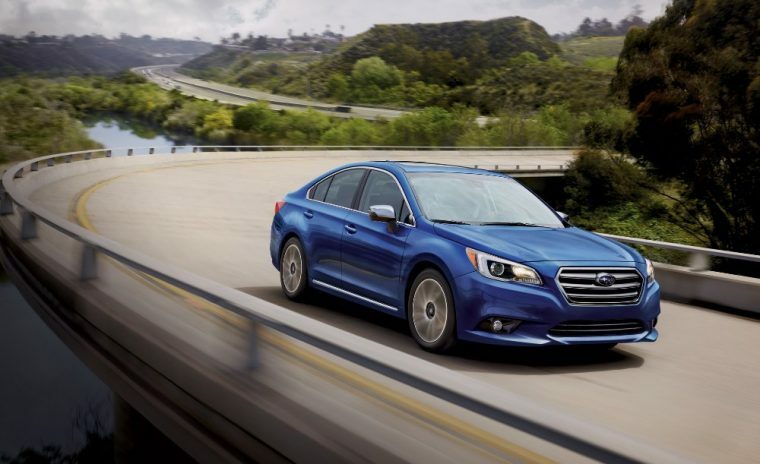 The Subaru Legacy also earned top safety ratings from the IIHS and NHTSA. Key competitors include the Honda Accord, Toyota Camry, and Nissan Altima. What’s New for the 2017 Subaru Legacy? A new Sport trim is now offered with the 2017 Subaru Legacy. This new model will include distinctive 18-inch alloy wheels, a dark gray grille insert, and chrome-accented rocker sills. In addition, reverse automatic braking safety technology is now included with the EyeSight Driver Assist Technology package. The 2017 Subaru Legacy features a simple exterior design that won’t necessarily take your breath away, but it won’t repel you, either. The new Subaru Legacy comes standard with 17-inch steel wheels, while larger aluminum alloy wheels are also available at an extra charge. 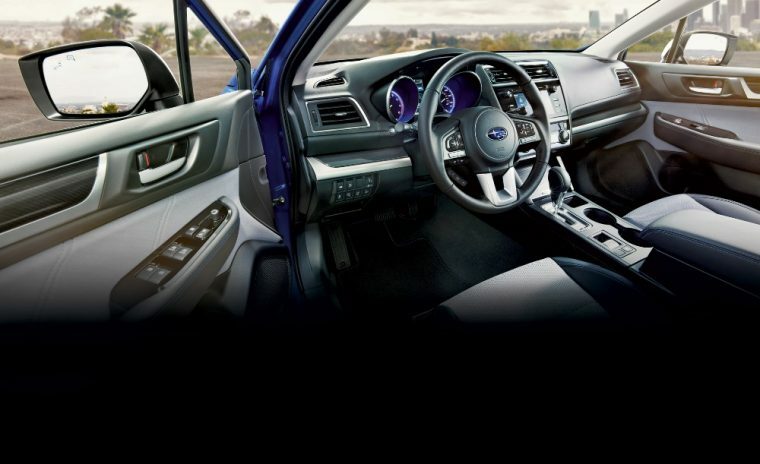 Other optional equipment offered with the 2017 Subaru Legacy includes a sunroof and uniquely designed fog lamps, while exterior color options include Ice Silver Metallic, Crystal White Pearl, and Twilight Blue Metallic. Consumers looking at the 2017 Subaru Legacy can pick between two different engines. The standard motor is a 2.5-liter four-cylinder that’s good for 175 horsepower and 174 lb-ft of torque. For a little more juice, Subaru also offers a 3.6-liter six cylinder engine that’s rated at 256 horsepower and 247 lb-ft of torque. Both of these engines come matched with a continuously variable transmission (CVT). However, neither of these engines provide overwhelming acceleration, which might be due to the sedan’s curb weight of approximately 3,500 pounds when equipped with the four-cylinder. That figure increases by another 200 pounds when the sedan is loaded with the six-cylinder. Fuel efficiency for the 2017 Subaru Legacy differs depending on which engine is equipped underneath the hood. 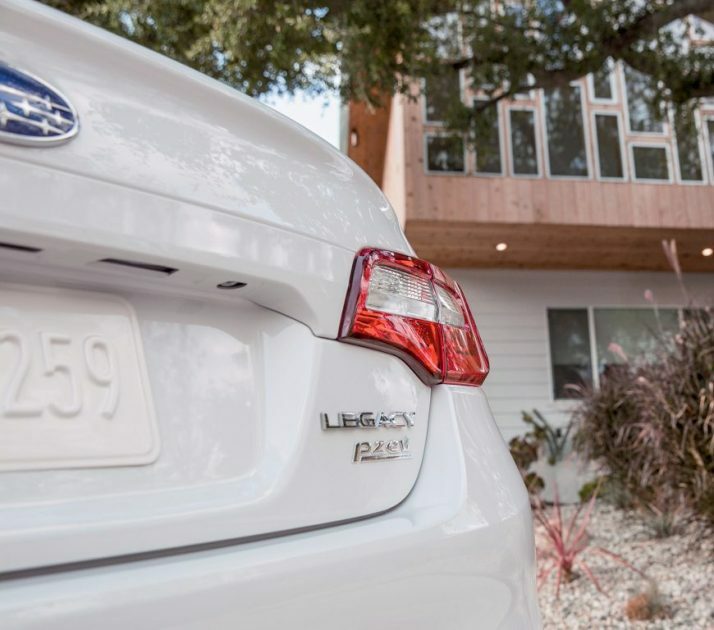 The Legacy with the standard four-cylinder motor provides EPA-estimated fuel economy of 25 mpg in the city and 34 mpg on the highway. 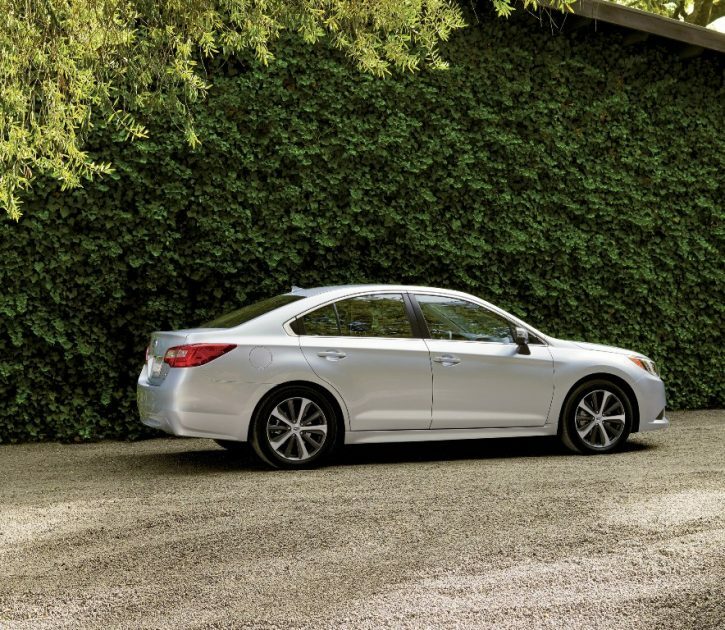 In contrast, the Subaru Legacy with the six-cylinder yields 20 mpg in the city and 28 mpg on the highway. Consumers looking at those fuel ratings should remember the Legacy comes standard with all-wheel drive, which is known to bring down efficiency ratings. Every 2017 Subaru legacy comes standard with a 18.5 gallon fuel tank. Much like the sedan’s exterior, the cabin of the new Subaru Legacy is also conservative and straightforward. A rearview camera and 6.2-inch touchscreen come standard, while consumers who opt for the new Sport trim will be treated to multicolored cloth upholstery and a unique dashboard design that features carbon fiber-patterned accents. Subaru also used noise-insulating materials when designing the cabin, which has made the interior quieter and even more comfortable. The trunk of the Legacy provides 15 cubic feet of cargo space. Contains the same interior features as the 2.5i Limited. Besides coming standard with traction and stability control, a rearview camera, and antilock brakes, Subaru also offers its EyeSight Driver Assist Technology package with the 2017 Legacy. This tech package adds safety features such as adaptive cruise control, blind spot detection, and rear cross traffic alert. Moreover, new for the 2017 model year is reverse automatic braking technology, which uses four sensors located in the rear bumper to detect and prevent impending low speed accidents. While the 2017 Subaru Legacy has yet to be safety tested by either the Insurance Institute for Highway Safety or National Highway Traffic Safety Administration, the similarly designed 2016 model was named a Top Safety Pick+ by the IIHS and earned the best possible safety rating of five stars from the NHTSA.